Maggie's Big Home: Valentine Fun! 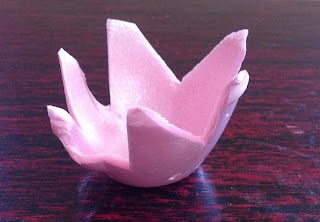 Hearts and flowers....use this week to combine Valentine fun and key school readiness skills with art. Give children half of a paper towel roll or toilet paper roll. School Readiness: Discuss its shape. 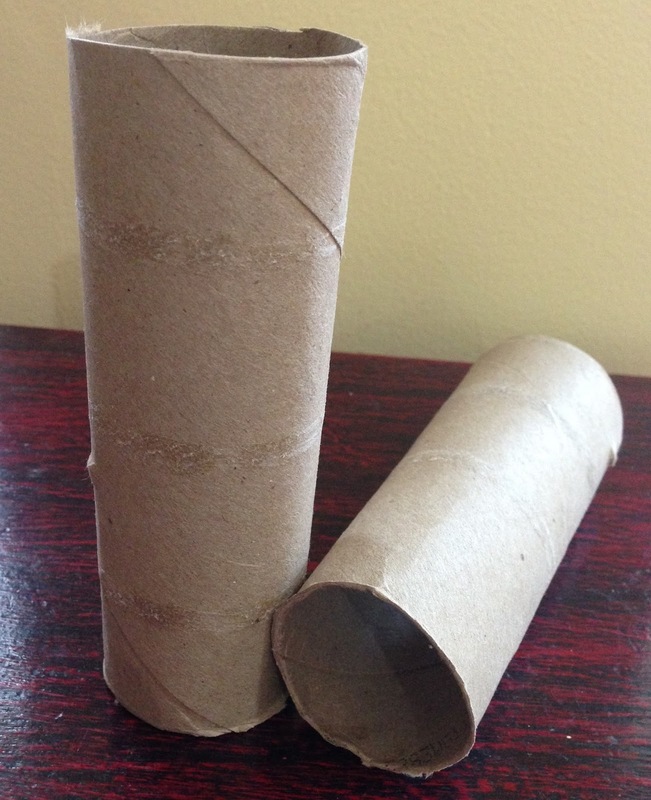 Talk about cylinders. Look at the top and bottom. Discuss circles. You can ask if the object has any edges. These are important geometry observations that children will be asked to make in school. Let children paint the roll red, pink, or even white. They can make hearts on it if they wish. School Readiness: Discuss the importance of getting small amounts of paint on a brush. 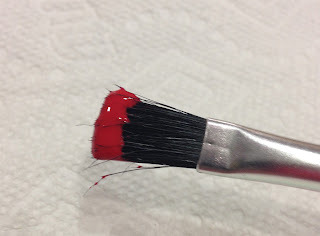 Have children wipe off the brush on the edge of the paint container so gobs of paint will not drip onto the table, etc. Future teachers will appreciate your development of this fine motor skill. 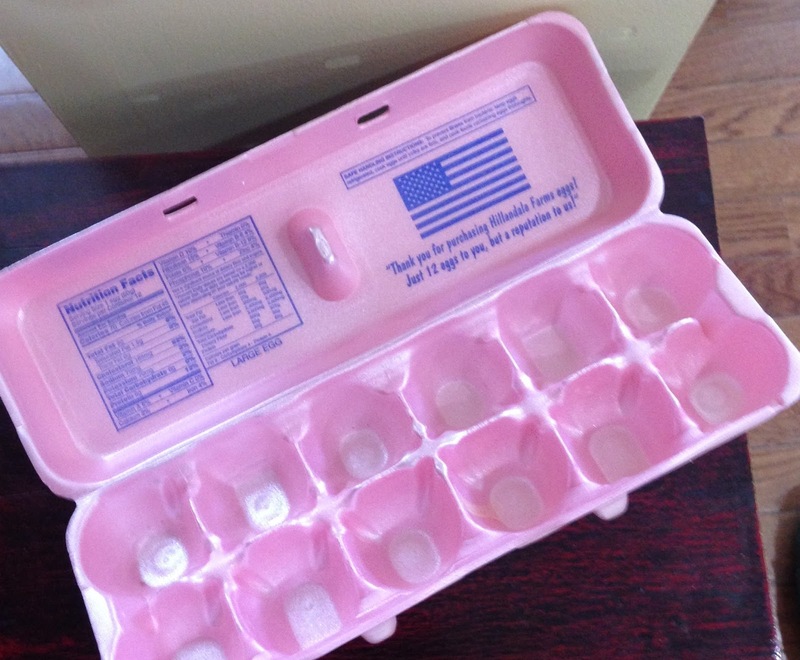 Ask families for egg cartons. Cut out pieces from an egg carton as shown above. 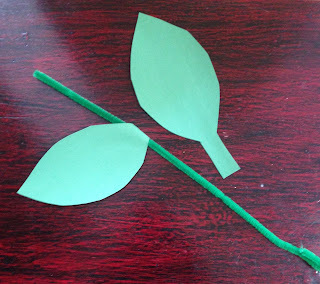 School Readiness: Use science words to describe flowers like blossom, stem, and leaves. This helps children learn to listen for important academic/content area vocabulary words. Encourage children to "turn and talk" to a partner to use these words. The skill of "turn and talk" is necessary for young children to learn. Give children a green "pipe cleaner" with cut-out leaves to attach to the flower stem. School Readiness: Ask children what real cut flowers need in a vase. Share ideas like water and plant food. This helps children to think about caring for things in their lives. Put the flower in the vase. Invite children to write a note to the person who will receive their valentine gift. School Readiness: No matter where your children are on the writing spectrum, it is helpful for them to learn that ideas can be shared in writing. See the description of the Continuum of Writing in our Glossary for more information on emerging writers.